Very nicely answered :). you can be religious but that doesn't mean you should not think Rationally and believe what others say. every person who thinks will have the same questions. I just feel, it was a mere way for people to make sense of the story. by interpreting ocean as 'cosmic' ocean. What was the need of to use a confusing word like ocean which had other obvious meaning. I would suggest you to read the book. 'God delusion' . It will give answers for those who has doubts on their religion. I have been following your tweets, blogs and the comments you have got. Most of the arguments portrays Ramar as a husband who has betrayed or hurt Seeta. I have noticed even in recent times that girls preferred someone like Ramar as their husband. Also many girls write "Sri Rama Jeyam" to get their wishes come true. Isn't both these contradicting. Can someone enlighten me of this. I would also like to know other than the issue of sending Seetha, has he done anything wrong to her during his life? I am too late to jump into this discussion. In my humble opinion, i feel its very indecent(may be a wrong word) to even discuss about what went on between a husband and wife. Leave alone normal husband and wife. We are talking about Lord Rama and Sita Devi. They were never apart.They were never away from each other. Rama is so kind to us that he allows us to even have discussions like this. Its not his mercy alone. Its even Sita Devi's abundant mercy to actually let us talk about her husband. For example, nobody would have the guts to actually question why a man marries twice, or why did he leave his first wife and married second one,or why a man would leave his wife with a young baby in hand. No one would actually dare to ask all these questions. Because its none of their business. Bcos its very very personal to them. I think the love between them can never be even felt a zilch by our normal human beings.Thats why they are gods and we are human beings. Please wake up. Use your mind to rationalise everything. One shouldn't blindly believe everything one reads, hears and whatnots. Questioning matters will only make someone wiser, in whatever way. ^^ Exactly. when you start reading the religious books with open mind, and sane person would loose faith. Its full of so many illogical things. I happened to accidentally come across your queries on the Ramayana on your blog recently. I'll let you know something that i know about them.. Lets be clear about one point first of all. All the questions that you ask fall completely under the utharkanda part of Ramayana and as many people agree Sage Valmiki never wrote this part of Ramayana and hence what we are about to discuss falls into the part of poetry which were written by some other poet and do not fall into the category of original Ramayana written by the great Valmiki although this utharkand is now widely accepted as a part of Ramayana..You may argue that however this is now part of Ramayana. But unless we understand the intricate differences between the one by Valmiki and the one by other we cannot find the answers for your question. I'll let you know wit an example. Close your eyes and bring in front of your eyes about what all you know about the incident in which ravana abducted Sita.. If i am not wrong you would have imagined lakshmana drawing a line... The so called lakshman rekha and ravana abducts Sita only after she crosses and comes that line.. But if you refer the exact verses of Valmiki Ramayana there wil be no such lakshman rekha.. I think now you can understand how much the other versions of Ramayana have mixed wit what we call the original Ramayana and has influenced our perceptions about Ramayana. Let me put to you with another example. There is a debate about another incident in Ramayana whether it was righteous by Rama to ask Sita to do agni parishit once he saved her in lanka! This debate s similar to the one of your doubts but some scholars who have gone through the Valmiki Ramayana say that this incident is fruit of a wrong doing by Sita! You want to know what that was? Well in the Valmiki Ramayana in the same abduction of Sita scene, mareecha shouts out for help from the woods in Rama's voice. Hearing it Sita asks lakshman to go and check it out. Lakshman on the other hand says that Rama is not so weak to be crying out for help even if it is a battle field. But Sita persists that lakshman go and check out and abuses him that he does not have the ideology to go and save his own brother in distress which is of course her imagination. And lakshman was so strong that he didnt budge even after hearing this . And Sita said those magic words to him at that tym. "lakshman go and help Rama or els i'll rise a fire here and jump into it and sacrifice my lyf etc..." and some scholars say that Valmiki says here that Sita says towards lakshman that he has no intention to save his brother in distress and he is of a wrong ideology or thoughts towards Sita. Now lakshman was taken aback by this words and he leaves in search of Rama. And in the yudh kanda after victory Rama asks the same lakshmana to start the fire for Sita to do agni parshath. Scholars attribute it as a return justice for Sita for speakin so harshly at him. What i am about to put you here is that for each and every detail in the original Valmiki Ramayana scholars are able to find right justifications and here all your doubts are from the utharkand which actually is a part which is still in a controversy as of who was its actual author. It is not fair to compare this part of Ramayana with the master piece part of Valmiki just because people of present days say it is also Ramayana.. Wil it be right to compare the heart and brain of our own body! Well each have their own uniqueness and that is what that makes them special. If you accept that ravana was a villain then you'll have to think again because we have poetry in tamil called ravana kaviyam which describes life of ravana as a hero. So which is right and which is wrong here? Its best to accept certain things just as they are and allude your doubts as to poet's imagination whomsoever wrote it because we don know in what sense the poet has written it. 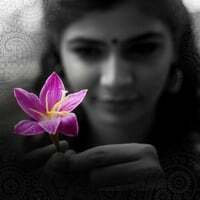 Poets of tamilnadu are inspired greatly by the chastity concept of kannagi so that they actually place a lot of importance for that value in all their women characters. It is visible right were kambar in kamba Ramayana says that ravana didnt touch Sita while abduction so that he lifted her by liftin the piece of land that she was standing on. This particular concept does not come in Valmiki Ramayana but appears in kamba Ramayana even though the latter is a transliteraion of the former. Kambar didn’t want people like us to debate later that Sita has deviated from the holy laws of matrimonial righteousness at the very moment ravana caught hold of her with a wrong intention towards her. Its poetical liberty and we must start to appreciate the imaginations of the author here rather than to criticize him of changing the essence of original version while he was writing his own. I hope i've conveyed you what i had in mind. I hope this was useful. Pretty Interesting article , when i read the Ramayana for the first time , I always have that doubt , you can be good to so many people , but how can you be so bad to your wife ? If you notice Sita is someone who is always on the receiving end of all the tortures(after marriage ! ) , she is shown as bad in one scene against Lakshman and then taken by Ravana and then goes away by way of words from a washerman. Murali: I am willing to accept that it the poet's imagination. However if this is the right interpretation of Sita's Agnipareeksha, it seems bizarre. Even more so in Kambar's interpretation as you said, and I emphasize on YOU here because you brought up this point and I dont want anyone to feel hurt with this reply. How is it SITA's fault that she got kidnapped? How is it that SHE deviated from holy laws of matrimony when she was being kidnapped??! She didnt go willingly. It is the same as saying it is the fault of the victim that got raped in modern India today. But the oppressor is let go? The victim is victimized even today and looks like the person who set the example was Sita herself. It is a different matter that Ravana was destroyed mainly because he abducted Sita and that was due to a curse he got earlier. Yes Ravana was a great king. He was an amazing devotee of Lord Shiva. He was a brilliant musician. He could play an instrument with each of his 1000 hands and please Shiva. In such an exchange he was vain and Shiva cursed him saying he would meet his equal in the battlefield. It was this and the curse of a character whose name I think starts with V in a different story where she curses him saying if he ever touches a woman without her consent he would meet his destruction. He did, while kidnapping Sita and brought about his destruction. i am really sorry for not putting this point clearly first itself. this is what i was telling you about. continue forward and u can see sita saying laksmana that he came o forest only due to covet sita and not out of respect for rama. going further you can see within the first 50 verses that she says various ways in which she would kill herself if someone els touches me.. of course till this verse she was refering that lakshmana alone is in the thought of touching her in a wrong motive. Dear Chinmayi, I saw that you mentioned about king Ravana here. In which you written that Ravana could play an instrument with his each of his 1000hands .If I m not wrong King Kaarthaveerarjuna had 1000hands.if m wrong, leave it. lakshmana saya at that point that " i see a earing here but i don know whether its hers. there is a bracelet here and i don know whether that to belongs to her but there is an anklet here which she wears at her feet and i am very sure that it is hers as i salute her feet.."
such is the devotion of lakshmana towards sita. Valmiki indirectly says here that lakshmana has never seen sita other than her feet i.e he has not even dared to watch her face to face. such is his devotion. and think of to abuse someone of having cupidity on her!!! though they are words of emotion it is easily to learn here that lakshmana would have surely been hurt by such a word..
now this is what i was trying to convey to u.
the same principle of various people interpret various things differently can be applied to what my grandad said too but his justification seems somewhat reasonable. Though we would never know what really Valmiki had in mind, we must always be in an open mind to accept all possible interpretations. And there are someother things too which you have to accept. in your previous coment you mentioned that sita was at the receiving end of all hardships alone and had been set as an example by valmiki. you say modern days also see and follow this example. Then you cannot blame valmiki for our own selective blindness. We shout a lot today that rama tested sita there etc etc and say this is an example etc etc, but ow many of us know Valmiki actually allows sita to argue with Rama about her rights before they set out for the forest from ayodhya. we don take that as an example and give todays women equal status but still its funny we fight for 33%. When rama decides to set out to forest he bids good bye to his mother kausalya. his mother says that she would also come to forest with rama but rama tells her that it is more important for a women to stay by the side of her husband more than anything in the world and she must stay with dasaratha in ayodhya. Then rama says to sita that he is leaving for forest and asks sita to stay in ayodhya and to look after the people in home. Sita argues here that the same law of importance to husband which applies to kausalya to stay with dasaratha also aplies to sita to stay with rama. the argument goes on for about 5 or 6 verses and finally rama accepts. Now why dont we see this as an example that sita had rightfully protested and got what she rightfuly wanted??? our selective looking on facts should not hide us from the truth everywhere. Partial knowledge is worse than complete ignorance since the former can bring about loss morally and even sometimes physically. I am going to argue that whatever Rama did was right because he is the embodiment of all ideals. There was an explanation that I read long ago that comes in the form of Rama speaking to Urmila. Urmila asks why Rama made Sita go through Agneepareeksha. Thats when Rama says - she spoke those harsh words to Lakshmana, who has never looked above her feet. In effect she showered agni on him through her words. Urmila accepts this explanation. However, with respect to the banishment in forest - I had the same questions like you do. May be we should interpret it as advocating that leaders are better if they stay single. Otherwise they are made to deprioritize family / country whichever works that time. Here Rama deprioritized his feelings for his family. 1. Dasaratha agreed to make Bharata as the King because Kekayi reminded him of the promise..okay, Dasaratha has the power to give his thrown to anyone he wants..Right. Makes sense. Why didn't Dasaratha put his foot down and say that his promise is only about him and he cannot make his son Rama & Sita as scapegoats and send them to the forest? 2. Why Rama did not say that his father's promise will not bind him and his wife? 3. Why Urmila did not complain to her parents about her husband Lakshmana also going to forest and create a hue and cry over it? Why her parents or her folks did not try to stop Lakshmana? 4. Why Sita, being a well educated daughter of a great King like Janaka, say No to Rama when he asked her to do Agnipravesam and go back to her dad's palace straight after getting rescued? Sita is not any ordinary woman who thinks everything is her fate.. She was a Princess and then moved to another kingdom with prospects of becoming a Queen. Isn't she intellectually at a higher level than the ordinary women? There are even more questions which I do not want to add up. Ultimately what I could realize is, Ramayana is the Life of Rama who is none otherthan Lord Mahavishnu Himself, born on earth to live with the people on earth, go through all their sufferings and much more trial situations than any normal person on earth, still follow the Dharma to the T and show the people on earth how to live within Dharma for a peaceful co-existence. His war with Ravana was a last resort after many peaceful talks with the enemy through messengers. Goddess Sita also followed exactly what any woman was supposed to do in those timelines. Lord Vishnu created even the other supporting characters the way they were, including Sita for showing the people of earth a live-by-example. That was possible ONLY because it was Thretha yuga, when the world was not so corrupt. I think God chose that Yuga because the next following Yugas have different Dharma and it will be very difficult to create a character like Rama or Sita. Lord Rama and Sita are our benchmarks for personal discipline and for the righteous way a humanbeing should live. Hinduism is a way of life and it always insists on the Dharma and discipline to be followed by individuals than the society as a whole because individuals make a society. Ramayana and Mahabharatha should be kept as our moral guides and the inherent priciples of right and wrong should be applied wherever needed in our lives. Keeping the timeline and the message thats told through each and every character of Ramayana in mind, we should try to benefit our of it. I think thats the whole idea of why this beautiful epic was enacted by the Almighty. Poets being poets might try to add their imagination but still the base story remains the same. In continuation to my earlier comment..I have read only Chakravarthy Thirumagan by Rajagopalachariyar (Rajaji). In that, no where Rama thinks he is an Ideal Man..he actually regrets for many of his decisions and curses himself on many occasions and even cries not knowing what to do. Aditya Hrudayam was born out of Rama's exhaustion and worry on how to handle Ravana, who keeps coming back alive after every time his head gets chopped off! Its that the people who witnessed his sense of personal discipline and his way of handling situations for the best of the common, his virtue and strength of his character at time of pressure, started idealizing Him as Lord Rama!! I think Rama was considered idealistic because his decisions were something that others would not have even ventured to make, for their personal benefits takes priority. After reading a lot of explanations from various scholars and reading Q&As in religious magazine..at some point realized, its better to do a self-questioning on what I want to understand and get out of this epic story, than what everyone has to say or think about it. Human mind is the most complicated creation of God in my opinion and never two minds think alike all the time. Gods are at a very higher plane from where human beings are and they see things better than what we see at our eye level! After all they are our creators! Possibility of expecting a story with a picture perfect super-hero Rama is more from the Almighty..still they have created a Rama with all the weaknesses which are going to be questioned later on..must have some meaning. God-Human relationship is very delicate..and the Bhakthi and Love we feel towards Him is pretty private to our hearts..and should be within ourselves and the minute we start logically, scientifically and technically approach it, it loses that beauty. Probably thats why Rajaji never liked Ramayana or Mahabharata being made into films. It is the right word but the saddest thing is how the victim is being victimized which is what you are also pointing out. You are saying THIS is our culture. The point there CANNOT be argument about it. It is NOT the woman's fault if she was violated. It is the violators fault. He should be booked. But how is it that people can even argue, and we, educated as we are, allow such arguments to take place? That is not acceptable to me. This however has nothing to do with Lord Rama. As for the Lakshmana thing, sounds bizarre too. Not sure who translated it as cupidity. And if the worry of the wife to ask her brother in law to help her husband translated into words as harsh as fire, as a punishment she has to go through fire? If that is the case, I am stunned by the amount of injustice toward women in such epics. Anonymous: My bad. it was not Ravana I meant but another king, Banasura, who had 1000 arms. Lord Shiva cursed him and left him only with 4. Murali: I am not blaming anyone but ourselves for our blindness. I am very clear on that. It would be the height of stupidity to blame Valmiki or anyone else for the plight of some woman in the modern world. Oh.. that is us: Fair enough. I, however, am unable to accept this. But then I am not in front of Rama or Lakshmana. If speaking harsh words were the crime, the Kaikeyi should have been through Agni Pareeksha, no? After all she was reason that lead to Dasaratha's death. Anonymous: I agree about the rules being different in different yugas and agree with your last paras. Have u read arthamulla hindu matham by Kannadasan? i'm not telling lord Rama was desiring pleasures. But as a MAN, he had his own flaws. Reason? Because he was a MAN. His reason of existence was to rid Bhoomidevi of the menace called Ravan, and he did it to perfection. But as a human, he couldn't be always doing the right things. Because each man has his own share of pavams and punniyams. Otherwise he'd not be a man, but a God. Rama did Bhoomidevi a huge favour by lightening her burden, but had to give it back to her in the form of hurting Sita. So that he could escape from karma of repeating another lifetime enjoyin his good deed. Am i sounding confused myself? I dunno how else to say it.